Clients of Bank of Kigali Plc. wishing to apply for unsecured loans have been given a big boost – as the bank moved the offer from Rwf10 million to Rwf30 million. Eligible applicants must be the bank’s clients requesting the loan amount not exceeding 12 times of one’s net salary. For a loan amount exceeding Rwf5 million, must be repaid within 3 years, the bank said in its 2019 business updates. The other condition for unsecured loan applicant is working in reputable organization/stable income, BK said. The lender – which is the only local cross-listed company on the Nairobi bourse, announced that client’s loan application to disbursement reduced to 48 hours from 168 hours, following revision of its turn around time (TAT) or the amount of time taken to complete a process or fulfill a loan request. To achieve this, the bank announced it has authorized all its 79 branches (as of December 31, 2018) to approve and disburse unsecured salary backed loan up to Rwf2.5 million in 48 hours. The lender has also established a Set up at Head of Office, Unsecured Retail Loan One Stop Center which has tremendously reduced the number of touch points for loan processing. Meanwhile, the bank said in its new reforms that it has decentralized issuing of Debit cards in all branches – reducing time from 1 weeks to less than 10 minutes, while time spend to process Credit Cards were brought to between 1 to 2 weeks. In its digital migration drive, the bank said it has deployed its Digital Migration Agents to all Branches. The Agents are responsible for helping clients subscribe to BK Apps and Internet Banking, among others. 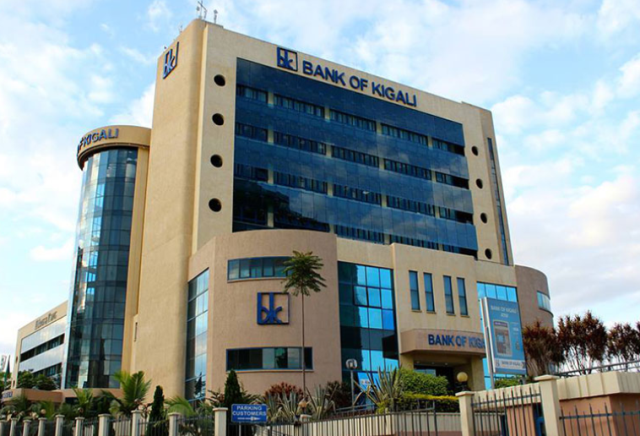 Late last month, the bank announced its annual (2018) performance report – registering a $30.7 million (Rwf27.4 billion) – an increase of 17.2% compared to 2017.